Today I want to show you a quick but cute embellishment idea! 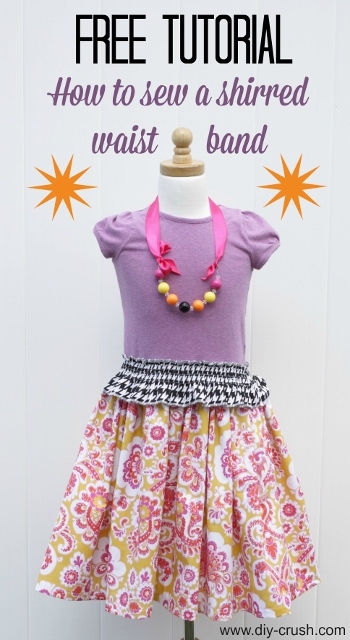 This tutorial for making a shirred (neck) or waist band is a fun way to add some interest to a dress. Learn how to make it in way under one hour and in only 6 steps! Whether you make it to embellish a t-shirt’s neckline with or add it to a dress as a belt, this shirred band uses up some of your fabric scraps too! For this example I used a t-shirt dress (made from THIS pattern) but you can use a store bought one just as well. 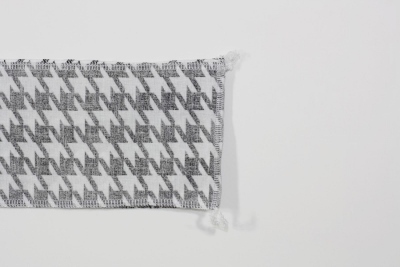 For the shirred band you would want to use woven cotton or knit fabric. 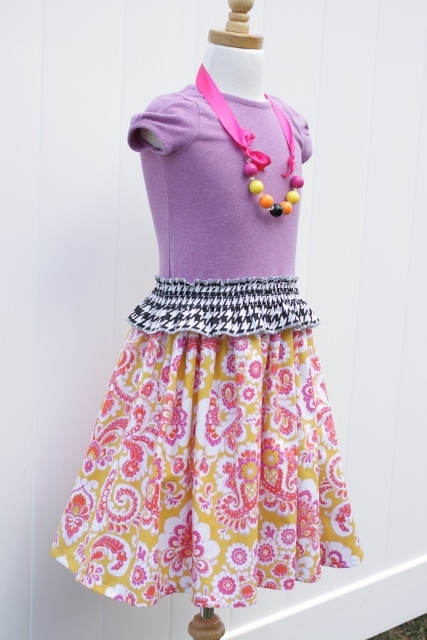 You need a serger to achieve the adorable rolled hems! If you have a serger but have never done a rolled hem then check out this great (affiliate link) Beginner Serging Course! Cut 2 strips of fabric (2″ wide for babies and up to 4″ wide for larger sizes) and twice as long as the waist measures. For example, if your dress width is 10″ wide from side to side you want to cut your band to 20″. You have a tube now which you want to shirr all the way around, starting at the top edge about 1/2 inch down. Sew several rows with a distance of half a presser foot or slightly less and leave 1/2 inch of the 2″ band and 1″ of the 3-4″ band unsewn. Insert dress into the band pin in place so that the seam of the dress is in the center of the band then sew using a small zigzag stitch along the first row and the last row of the elastic thread. Your shirred waist band is done! 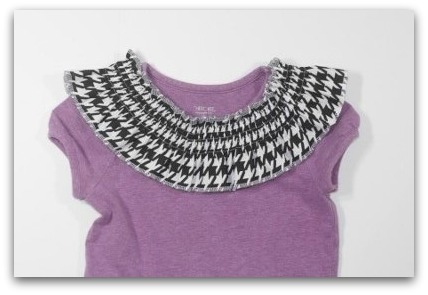 Here is an example of how cute the shirred band looks around a neckline! Note, some of the links in the post may be from our affiliates – please see our disclosure policy). Are you inspired to sew more? Please visit our ‘pattern on sale’ for great sewing patterns and for FREE patterns, see our archive! Hope you like this tutorial and will make one soon! If you do, please share pictures on facebook! Sign up to our mailing list to get such goodies right into your inbox! Sign up box is on the right side bar on top!